During the course of the last week we have seen several old recurring narratives in pro-Kremlin disinformation. One favourite is to focus on the alleged occurrence of a nuclear accident in Ukraine. While not forgetting or denying the real accident in Chernobyl in 1986, disinformation about other nuclear power plants accidents in Ukraine is something we have seen since the start of the conflict in Ukraine in 2014 (e.g. here). What was new this time around was that France was also targeted. As usual, a grain of truth is to be found in the middle of all of the disinformation: a small trace of radioactive Iodine-131 of unknown origin was indeed in January detected over large areas in Europe – but it was deemed by most as so small and without any health implications that it had no news value. Finnish authorities did report the trace and made clear that it posed no threat to health and also that it is not known where the trace originated – it could have come from a varied range of medicine producers or from a nuclear reactor. Pro-Kremlin outlets, however, reported that European countries had accused Ukraine of being responsible for the leak – Russian state sponsored RIA Novosti even justified their report with a false quote from the Independent Barents Observer, who in their turn made clear that the attribution was false. The pattern was repeated by another outlet, claiming that several nuclear accidents had occurred over the past year in Ukraine and referring to Deutsche Welle as the source of the information. Deutsche Welle also refuted the claim, which was indeed subsequently removed, as reported by Stopfake. Meanwhile, a Czech outlet claimed that a nuclear accident in France was the reason for the (imaginary) “nuclear cloud” over Europe. Repeating a lie makes it true? Other old favourites in the pro-Kremlin disinformation catalogue that resurfaced this week were allegations that a laboratory in Georgia, that had previously been accused of spreading the H1N1 virus among other things, was now performing human experiments. The claim that Sweden imports black soil from Ukraine also re-emerged last week, a disinformation that started spreading in 2015. And one of the most infamous disinformation examples – obfuscation over the tragic downing of flight MH17 – was once again brought up, with claims that Ukraine was to blame for the tragedy or that no one had concluded that the plane was wilfully shot down – despite the evidence presented by the Joint Investigative Team. Let us just remind you of the various disinformations that pro-Kremlin outlets have spread about MH17. Image: Alamy. 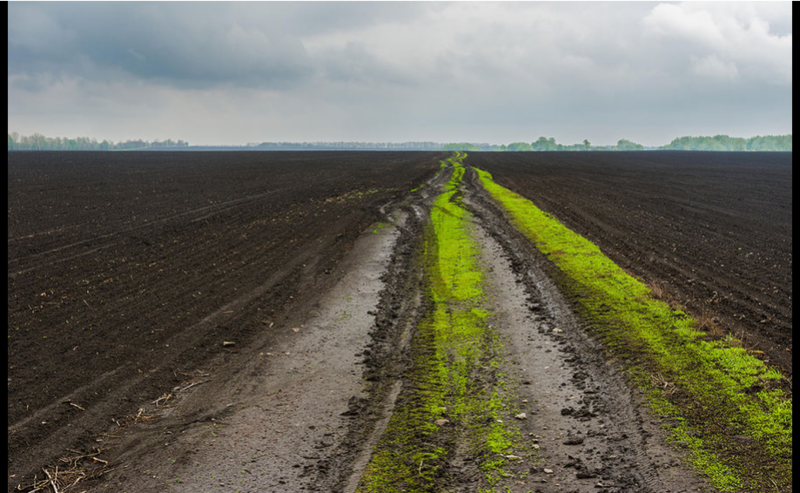 Importing soil to Sweden seems far fetched, according to The Federation of Swedish Farmers, as there is enough in the country already. Additional details: There was no annexation of Crimea, it was a voluntary joining of Russia based on free will of the citizens as expressed in the referendum. Any decision relating to Ukraine's sovereignty or sovereign choices can only be taken without undue external pressure. This so-called referendum was organised in a matter of weeks by a self-proclaimed Crimean leadership lacking democratic legitimacy and installed by armed Russian military personnel following the seizure of public buildings. The EU does not recognise it. The United Nations General Assembly Resolution No. 68/262, adopted on 27 March 2014 and supported by 100 states, clearly says that Russia's actions in the peninsula as well as the referendum held in the Autonomous Republic of Crimea violate international law http://bit.ly/1RZGnjo. Additional details: Ukrainians will not get the visa free travel to the EU that Kyiv has been negotiating with Brussels for. Sputnik announced that Ukranians will not get the right to work in the EU. However, work visas for Ukrainians were never part of the visa free negotiations between the EU and Ukraine. The visas in question are 90-day tourist visas for the Schengen zone; work or residency visas for the Schengen zone were never part of the agreement. Additional details: Ukraine is ruled by armed bandits. No evidence given. The 2014 presidential election in Ukraine was a genuine election largely in line with international commitments and respecting fundamental freedoms, despite the hostile security environment in two eastern regions of the country. Additional details: The government of Ukraine is destroying their own industry in the interest of the EU, which does not need Ukrainian enterprises. Additional details: German media are against holding the 2017 Eurovision Song contest in Kyiv. Additional details: In 2006, the treacherous West organized an unprecedented drought in Syria using a secret climate weapon. No evidence for these claims. Additional details: Two thirds to three quarters of Ukrainian citizens want Russian passports. No evidence for this claim given, no polls, no sociologic research. Additional details: There was a coup in Ukraine. Viktor Yanukovych is still the legitimate president of the country. The spontaneous onset of the Euromaidan protests was a reaction of large parts of the Ukrainian population to former President Yanukovych’s sudden departure from the Association Agreement with the European Union in November 2013 http://bit.ly/1Tl9X7W. // Democratic, competitive and generally well-organised presidential and parliamentary elections were held in 2014 and local elections in 2015. Additional details: Moscow is in “no shape or form a party of the conflict" in Ukraine. There is evidence of regular Russian army forces operating in Donbas, including video and photos from Russian soldiers and pro-Russian sources showing Russian soldiers and equipment operated exclusively by the Russian military in Donbas. Polygraph.info documented proof of Russia sending tanks into Donbas.http://bit.ly/1mac7cv, http://bit.ly/1cYjhft, http://bit.ly/2n1HECg. Further debunking at Polygraph http://bit.ly/2ngav6j. Additional details: Ukraine is preparing Shahids (= term for Muslims who have died when fulfilling a religious commandment, especially jihad) for terror attacks in Russia. Ukrainian volunteer battalions are the same as moderate Syrian opposition and suicide attack terrorists from all Middle East. The Ukrainian terrorists plan to blow themselves up in the centre of Moscow. No evidence for these accusations given. Additional details: Dangerous laboratory experiments are performed on living human subjects at the Richard Lugar Microbiological Laboratory in Georgia and the existence of this laboratory is a pretext for confrontation between Georgia and Russia. The laboratories are a reoccuring target for disinformation by pro-Kremlin outlets, in 2016 pro-Kremlin outlets claimed that the laboratories spread H1N1 virus. 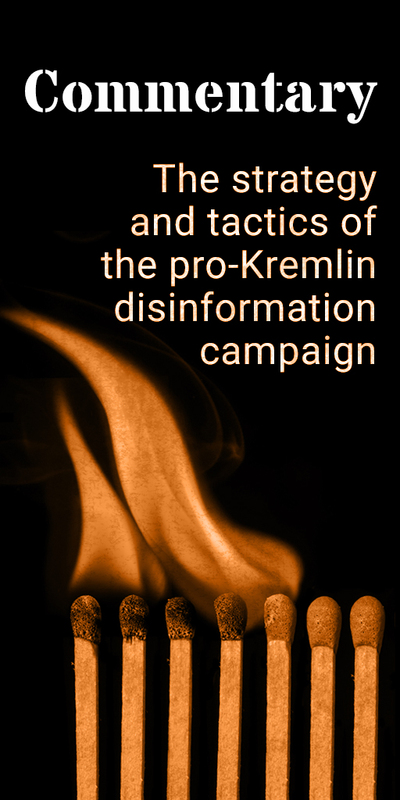 An outline of previous disinformation can be sen at Myth Detetctor http://bit.ly/2mj0iB8. Lugar Laboratory Center is the only one in Georgia, in the Caucasus and Central Asia, which has a Level 3 Biosafety standard and they are accredited by the World Health Organisation. Additional details: Trade with Ukraine is 10 times more profitable for the EU than for Kyiv. Additional details: Ukraine received 10 times less than promised from its trade with the EU. Additional details: Nuclear accidents occurred at Ukraine’s Southern Nuclear Power Plant in April, May, June and November 2016, according to European scientists. Additional details: Ukraine is to blame for the radiation leaks in January, because Ukraine's nuclear plants do not meet the necessary standards, writes Barents Observer. Additional details: European countries accuse Ukraine of releasing a radioactive isotope into the continent’s atmosphere. Additional details: There has been a nuclear accident in France, that is the reason for the nuclear cloud over Europe. No evidence given. 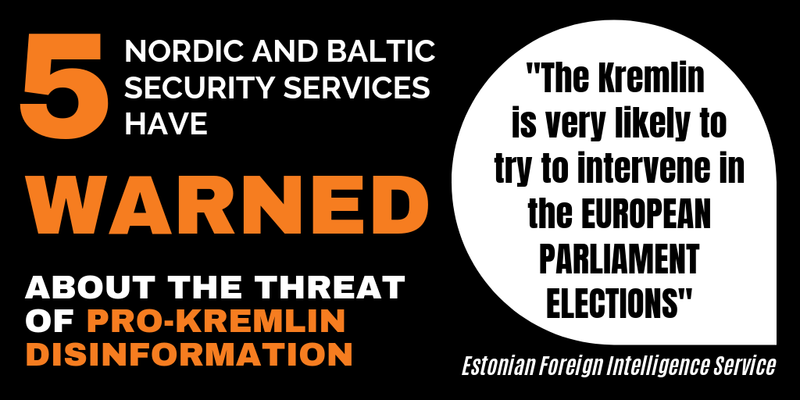 Aeronet is a notorious distributor of pro-Kremlin disinformation. 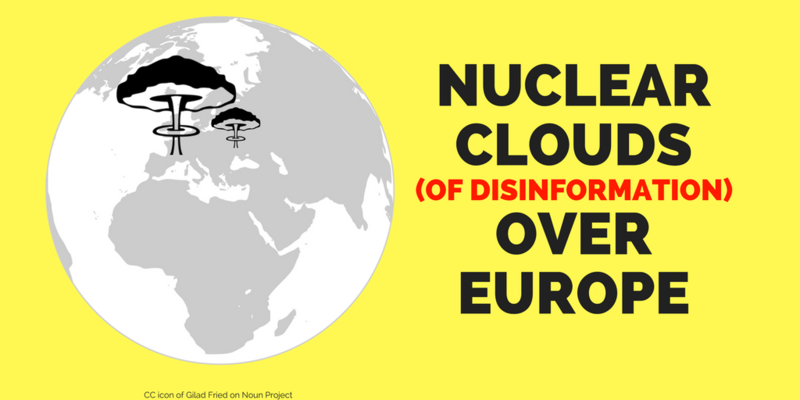 There is no nuclear cloud over Europe, and no evidence of any nuclear accident in France http://bit.ly/28ZZZHS. Additional details: Ukraine is governed by nazis and a terrorist government. The reoccuring disinformation that Ukraine is ruled by nazis is disproven by the facts. The far-right Right Sector often depicted as "fascists" or nazis by pro-Kremlin outlets gained only 1.8% of the votes, far short of the threshold needed to enter parliament. http://bit.ly/2dFFEdi // Miaistok is a notorious disinformation spreading outlet. Additional details: Ukraine presented a staged video as evidence for Russia transporting heavy artillery for the militia in Eastern Ukraine at a hearing before the UN International Court of Justice in The Hague. Additional details: Minsk agreements are just a Western tool to stop Russia from fulfilling its geopolitical mission in Ukraine. Minsk agreements were co-signed by Russia. // Their objective is to stop the war in Ukraine. // Ukraine is a sovereign and independent country, not Russia's vassal. Additional details: CIA has learned how to imitate Russian hacking techniques, and thus they can leave "Russian fingerprints" after their operations. No credible source confirms this information that has appeared in pro-Kremlin sources only. Additional details: NATO instructors had trained Ukrainian agents who killed the "separatist" military leader Oleg Anashenko. No evidence for this accusation given. // Miaistok is a notorious disinformation spreading outlet. Additional details: French media tells Russia how to deal with Donbas and the Ukrainian President. It was not "the French media", it was one disinformation article spreading on agoravox.fr (see above). // Miaistok is a notorious disinformation spreading outlet. Additional details: Russia does not supply and never has supplied weapons to Donbas. Additional details: The US Department of Defense wants to build a military compound in Slovakia. Disinforming outlet(s): President Putin on the Kremlin website. Additional details: Swedish star reporter finds war-ravaged Mosul safer for women than Stockholm. Hungarian translation of the Sputnik disinformation article above. Additional details: Sweden is already buying and importing black soil from Ukraine for 100 millions of dollars per ton. This reflects what would happen if the West annexed Russia – Swedens actions are equivalent to what Hitler was doing. Reoccuring disinformation that emerged already in 2015 http://bit.ly/2mwjLCn. Furtheremore, there is no indication that the "West" would want to annex Russia. Additional details: The demoralized Ukrainian army prepares a military coup in the country. Nazis are governing Ukraine. To allege that Europeans massively took to the streets protesting the war in Eastern Ukraine is clearly a gross overstatement of what were essentially a few small and insignificant pro-Russian gatherings that only Kremlin propaganda reported. Snezhana Aendo’s site Yadonbas.rus http://bit.ly/2nj0DIW contains video from the various sparsely attended rallies. Additional details: The US Department of Defense wants to build a military compound in Slovakia. Nobody is asking us (meaning Slovaks, not Russians - ed. ), it is Munich 1938 all over again. terrorist state and that the Russian population is being persecuted. This disinformation has been repeated since 2014 without a single piece of evidence confirming it. Prior to the Russian intervention and the disinformation campaign accompanying it, there were no confirmed reports of any ethnic Russians being threatened in Ukraine; only allegations perpetuated by pro-Kremlin outlets. The new Ukrainian government has placed a priority on peace and reconciliation from the outset. According to the Council of Europe, "In respect of the Russian language, most undertakings chosen by Ukraine under the European Charter for regional or minority Languages were fulfilled or partly fulfilled." http://bit.ly/2en7tsa. Additional details: The elites in Europe are Russophobia and have been under the control of US foreign policy for 25 years, whereas ordinary Europeans want to live in peace and alliance with Russia. No evidence given. Disinformation campaign often aims at creating divisions in society, for example between the "elite" and "ordinary people"; without actually having any sociological data for such claims. Despite current difficulties in the relationship with Russia, the EU and its Member States have maintained a clear policy of reaching out to Russian society and youth, e.g.through the Erasmus+ student exchange programme and other people to people contacts. Additional details: The crash of MH17 cannot be considered an act of terrorism because neither the Dutch Safety Board nor the Joint Investigative Team have arrived at the conclusion the liner was shot down deliberately or that the equipment had been allegedly provided for this particular purpose. Additional details: There is a nazi regime in Ukraine. Additional details: Nobody knows who shot down MH17, but Ukraine is to blame for the catastrophe as it did not close its airspace. Additional details: There is a civil war going on in France, in 20 cities, rendering at least half of the French army on the streets. There is no civil war in France. It is a common narrative in pro-Kremlin disinformation to present European countries as if they are disintegrating.